With her words in mind I posted about it on LinkedIn, Facebook, Twitter and my main psychology group, Psychologists in Long-Term Care. I received many wonderful, supportive, unexpected replies. I wasn’t going to write about it for this column (because, gosh, wasn’t that enough already? ), but I decided to for several reasons. I view part of my job as a psychologist as being a role model. On the units, I’m aware that the aides and my other co-workers are observing how I speak to them and to the residents and families. Similarly, in writing this column, I represent psychology to those who work in long-term care management. If people, particularly women, find it difficult to talk about their accomplishments, then perhaps I can model sharing an achievement in order to encourage more colleagues to do the same. Dealing with extensive regulations, reimbursement challenges, elaborate documentation requirements and a punitive environment can erode the joy of helping elders. Acclamation for accomplishments, on the other hand, can bring joyfulness back to the job. I could have told just my mother and while that would have been nice, by sharing it with a larger group, the positive response is magnified, giving me added energy to continue my work. I’m sure there’s a scientific, dopamine thing happening, but the gist is that it feels good to be acknowledged. The reverse is true as well: Offering a genuine compliment can make the giver feel better too. The ASHPE competition evaluates healthcare titles like Neurology Today and The Journal of Nursing Administration. I find it amazing and encouraging that a psychology-related column received recognition in a field of medical publications. It makes my geropsychology colleagues and me more optimistic to see that there’s increased interest in the interconnectedness of mental health and physical health problems. I’m not someone who watches the Academy Awards and I find interviews with celebrities to be rather dull compared to the amazing stories I hear from elders in the nursing home. But I do think the entertainment industry is on to something with their regular recognition of the endeavors of their tribe. We can follow their lead to help make the long-term care environment less punitive and more rewarding. Beyond broadcasting the receipt of an award, other possibilities include publicly complimenting coworkers on their efforts, regularly highlighting the work of colleagues in the nursing home newsletter or on the company website, or establishing a recognition program like McKnight’s Women of Distinction. Doing so is also an excellent way to craft more positive stories about our industry to help counteract the negativity in the media. Share good works with the larger world through vehicles such as a local newspaper or a general nursing or business publication. Rewarding accomplishments isn’t about being self-congratulatory, it’s about injecting hope into our often-battered field that we’ll be recognized for our efforts. To begin right this minute, read the article that Editor Jim Berklan wrote about the many ASHPE awards garnered by this publication (Go, McKnight’s team!) and take a moment to send them congratulations. Let’s get that dopamine flowing! 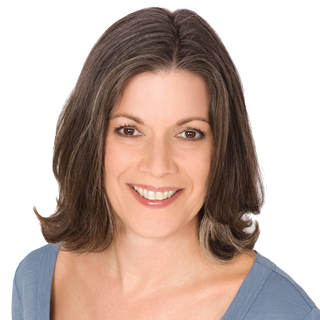 Eleanor Feldman Barbera, Ph.D., author of The Savvy Resident’s Guide, is an Award of Excellence winner in the Blog Content category of the APEX Awards for Publication Excellence program. She also is a Bronze Medalist for Best Blog in the American Society of Business Publication Editors national competition and a Gold Medalist in the Blog-How To/Tips/Service category in their Midwest Regional competition. To contact her for speaking engagements and/or content writing, visit her award-winning website at MyBetterNursingHome.com.